HYTORK ACTUATORS – Hytork® develops and manufacturers actuators for the automation of industrial valves. Our product range includes pneumatic actuators and a wide range of control accessories. Product development is based on modular construction that allows for fast delivery from stock components and easy upgrade to control units as well as quick and efficient modification and repair. 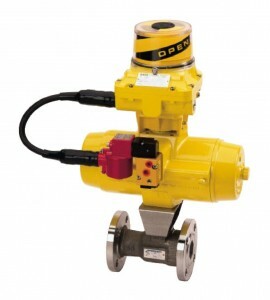 The Excel (XL) Series of Valve Actuator from Hytork® has so many performance features it is Guaranteed! Designed for the economical actuation of ball, plug and butterfly valves as well as commercial and industrial dampers. Aluminum rack and pinion actuators to ISO, NAMUR, VDI/VDE standards. Travel stop adjustment in both open and closed directions. The Excel Series of Actuators are available in both double acting and spring return and feature corrosion protection both internally and externally. Torque requirement valves up to 3950 Nm. Hytork® XLW Actuators are specifically prepared for operating by water. This preparation is concerned with corrosion protection, bearings and the preventing the ingress of particles with the water. Contaminated water can cause damage to the Actuator Seals and bearing areas and reduce the operating efficiency and Actuator life. The XL COMMANDO starts with Hytork®’s proven industry leader, the XL aluminum actuator. The aluminum body parts are then treated with Fluoropolymers from the CORROGARD range (CORROGARD-CG941) in a method that no extruded actuator body can receive, providing a complete, durable impregnation of all body parts, inside and out. The steel pinion is treated with CORROGARD-CG942. The result is the “XL COMMANDO”. Years of field trials have proven this to be the answer to many corrosive environments. Light in weight, heavy in performance, state of the art design and a durable impregnation which guards against corrosion.